The Center for Spain in America (CSA) promotes advanced study and public awareness in the United States of Spanish art and visual culture, also focusing on the history of the Spanish presence and the influence of Spanish art and culture on North America. CSA cooperates with universities, libraries, archives, museums and other educational or cultural institutions fostering academic excellence in the field of Spanish studies in the United States of America and supporting activities such as symposia, lecture series, exhibitions and publications. The Center for Spain in America is registered as a not-for-profit organisation in the United States and is legally incorporated in New York State since 2009. Its activity is made possible, in part, by CEEH. 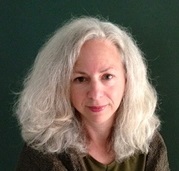 The fellowship has been awarded to Julie Harris, adjunct faculty at Spertus Institute for Jewish Learning and Leadership, Chicago since 2010. Harris holds a degree in Art History from the University of Pennsylvania and a PhD from the University of Pittsburgh. At the Clark, she will be working on a project concerning the function, sources and meaning of ornamental carpet pages in Hebrew Bibles made in Iberia or its cultural sphere ca. 1260–1320. It considers a wide range of cross-cultural scholarship on ornament and the carpet page as well as factors within the realm of Sepharad such as: Hiddur Mitzvah and the self-production of these codices; prayer and the Jewish sensorium; the role of Masora and micrography; and Biblical notions of artistic creativity. 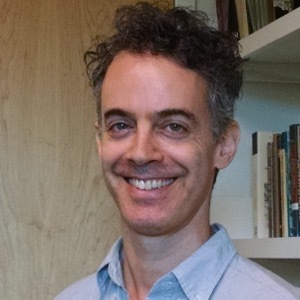 Daniel Bernardo Hershenzon earned his BA in History and Philosophy at Tel Aviv University and his PhD in History at the University of Michigan. Before joining the Department of Literatures, Cultures, and Languages at Connecticut University as associate profesor he was visiting scholar NYU and Columbia University. At the Institute for Advanced Study, Hershenzon will be working on a new book project that studies the circulation of Jewish, Muslim, and Christian religious objects—Qurans and bibles, prayer shawls, crosses, images of Christ and the Virgin Mary, and relics—in the early modern Mediterranean. 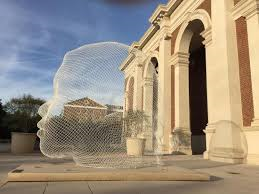 The CSA reinforces its ongoing partnership with the Meadows Museum, SMU, and supports existing scholarship in Spanish art by funding a full-time appointment of one year, beginning in September 2019. The selected candidate, who must have demonstrated experience and knowledge in this field, will perform curatorial research and be responsible for projects as assigned. The Meadows houses an outstanding collection including masterpieces by El Greco, Velázquez, Ribera, Murillo or Goya and offers through its curatorial department a unique profesional and scholarly experience. As Director Roglán says, “the Meadows Museum takes great pride in training the next generation of curators, art historians and museum professionals.” Through this new fellowship the CSA helps to solidify the Meadows’s position as a premier center of Spanish art research and education in the U.S. 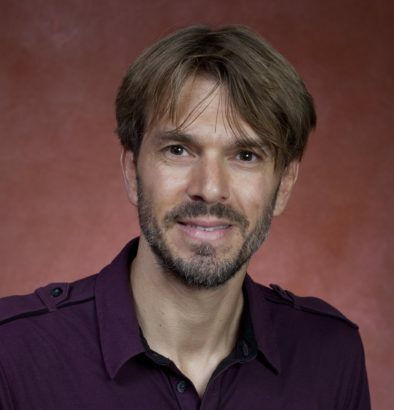 The inaugural Center for Spain in America Fellow at the Clark, Doron Bauer, is an assistant professor of medieval and Islamic art history at Florida State University. He is the author of Romanesque Sculpture: Towards an Anti-Iconography (forthcoming) and Art in the Kingdom of Majorca: An Anthology of Sources (forthcoming). At the Clark, he will be working on Cities Upon Cities: The Reconquista and the Colonization of the Aesthetic, a book that examines the Occidentalization-Christianization of Islamic cities in Iberia and Africa after the Christian conquest as manifested in changes to the cities’ public monuments, private spaces, urban fabric, and material culture. 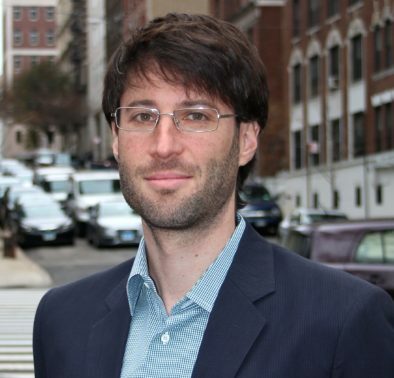 Kimmel, an assistant professor at Columbia who earned his PhD in Comparative Literature from the University of California, Berkeley, has been awarded the new John H. Elliott Membership, underwitten by the CEEH and the CSA. At the IAS Kimmel will be working on a book project that studies the relationship between cosmography and bibliography in the early modern period. 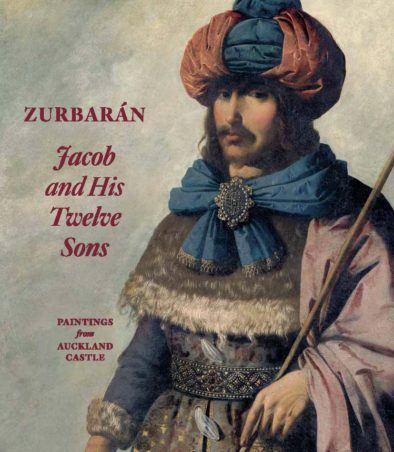 A biblical text inspired Francisco de Zurbarán (1598-1664) to create in the 1640s one of his most important and monumental series: Jacob and His Twelve Sons. Coinciding with Zurbarán’s artistic maturity, he had a workshop in Seville producing works destined for the Spanish territories in the Americas. In fact, the Jacob series is clearly related to the New World, since at least two copies reside in the cities of Puebla (Mexico) and Lima (Peru). This connection may help us to understand the realization of a series such as this, which remains a rare subject in Christian iconography. If the series itself is extraordinary because of its quality and rarity, its provenance is also of great interest. Although it is believed that these works were destined for the Americas, there is evidence that they were in England in the eighteenth century. They have been housed at Auckland Castle since 1756, the year they were purchased at auction in London by Richard Trevor, the fifty-fourth Bishop of Durham. Trevor ran out of funds before being able to purchase Benjamin, so he had a copy made by British artist Arthur Pond (1705-1798) in order to have the entire group represented at his residence. 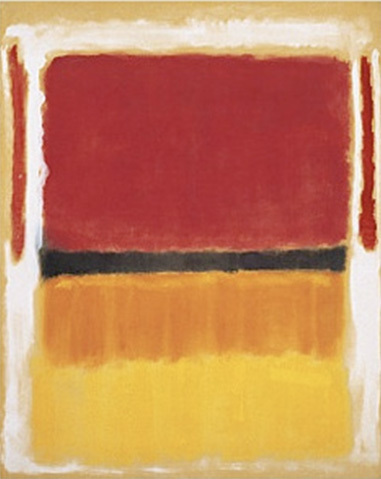 The original Benjamin has remained in a private collection ever since, but it will join its “brothers” in a historic reunion for this exhibition. This exhibition marks the first time these precious holdings will be presented in America and Israel, and only the second time in history that they leave Auckland Castle. After its presentation at the Meadows Museum the works will be featured at The Frick Collection in New York and at The Israel Museum in Jerusalem, the last venue for this exhibition, co-organized by the Meadows Museum, SMU, The Frick Collection and Auckland Castle, in association with the Kimbell Art Museum. The exhibition catalogue has been underwritten by the Centro de Estudios Europa Hispánica and the Center for Spain in America. The Center for Spain in America (CSA) establishes this association with the prestigious Clark Art Institute at Williamstown, Massachusetts, providing scholars and museum curators with the opportunity to develop their research projects in a wonderful academic environment. These fellowships are part of a larger program of collaboration with other entities in America that strives to advance the understanding and appreciation of Spanish art in the US, thus fostering excellence in this field of study. The committee, composed by Adam Jasienski (Meadows School of the Arts, Southern Methodist University), Niria Leyva-Gutiérrez (Long Island University Post) and Jordana Mendelson (New York University), unanimously chose to honor Sorolla in America: Friends and Patrons, with the Eleanor Tuft Award 2017, that recognizes an outstanding English-language book in the area of Spanish or Portuguese art history. 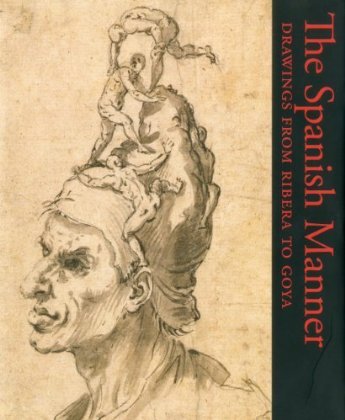 This volume, jointly published by the Meadows Museum, the CSA and the Fundación Museo Sorolla, excelled in the award categories of “thoroughness of research,” “significance of findings,” and “clarity of expression.” According to the committee, “the scholarly rigor and attention to detail that characterize this book, and the logic with which the individual essays are organized, make the publication an exemplum of what a museum-based academic publication can and should do. 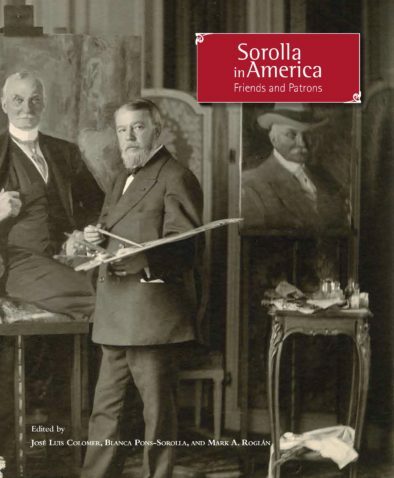 Furthermore, the high quality of the book’s production ensures that, for years to come, it will remain a touchstone for scholarship on Sorolla, the transatlantic visual culture of the turn of the twentieth century, and the history of collecting writ large”. Sorolla in America was edited by José Luis Colomer, Blanca Pons-Sorolla, and Mark A. Roglán. At the IAS, Fabien will be finishing a book, tentatively entitled Scholarship and the Making of Politics in Early Modern Empires: The Iberian Routes of the Republic of Letters. This work explores the ways in which early modern scholarship contributed to the foundations of modern state politics between the Late Renaissance and the Enlightenment. 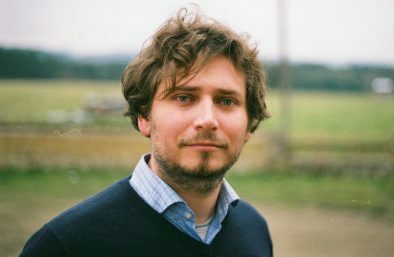 As a historian who works on the social history of ideas–a specialty that builds on political theory, intellectual history, the history of intercultural relations, libraries, paperwork and information–Fabien brings together the history of the Iberian Empires, both Spanish and Portuguese, and the history of the Republic of Letters by examining the interconnected configurations of global communities of knowledge along with early modern state information systems. This gift is meant to encourage research into the history and culture of Early Modern peninsular Spain from the XV century to the beginning of the XIX century. Applicants will be selected by the Faculty based on their individual excellence, the quality of the research proposal, and the value of the proposed research to the field as a whole. Distinguished visiting scholars will be appointed for full-year or one-term memberships, during which they will be provided with an optimal environment conducive to focused study. The new Membership wishes to honor Sir John Elliott’s fundamental contribution to our knowledge of Spain’s Golden Age and the Hispanic world. 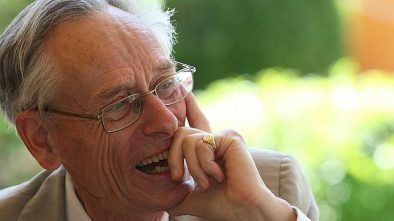 His international academic career includes 17 years as a member of the Faculty of the School of Historical Studies at the Institute for Advanced Study. The Frick Collection, New York, and the National Gallery of Art, Washington D.C., have co-organized an exhibition on Picasso’s drawings, from the precocious academic exercises of his youth in the 1890s to the virtuoso classical works of the early 1920s. The exhibition features loans from important public and private collections in Europe and the United States and is accompanied by a full-length catalogue of the same name. 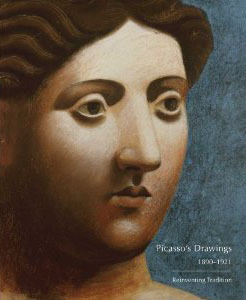 Organized by Susan Grace Galassi, Senior Curator (The Frick Collection), and Marilyn McCully, Picasso expert, in conjunction with Andrew Robison, Mellon Senior Curator of Prints and Drawings, (National Gallery of Washington). The accompanying catalogue is underwritten by the Center for Spain in America and The Christian Humann Foundation. 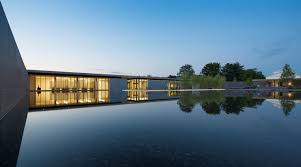 Funding for the exhibition in New York is provided, among others, by Bill and Donna Acquavella, the Stavros Niarchos Foundation, and Melvin R. Seiden. 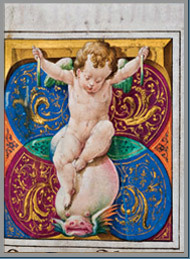 The exhibition displays a group of illuminated manuscripts which come from the Sacristy of the Sistine Chapel. They were dispersed during the French occupation of Rome and acquired by Cardinal Francisco de Lorenzana, who as Archbishop of Toledo donated them to the cathedral library; they have remained there till the present day. For the first time this collection of great art-historical value has been catalogued and studied, and is presented with liturgical objects belonging to the Cardinal and other items that situate the collection in its original context. Organized by: Biblioteca Nacional de España, Madrid; Centro de Estudios Europa Hispánica, Madrid; Cabildo de la Catedral de Toledo; Meadows Museum at Southern Methodist University, Dallas; Center for Spain in America. The dazzling idiosyncrasy of great Spanish draftsmen from the seventeenth through the nineteenth century will be the subject of an exhibition featuring more than fifty works from public and private collections in the Northeast of the US, among them The Metropolitan Museum of Art, The Hispanic Society of America, The Morgan Library & Museum, the Princeton University Art Museum, and the Philadelphia Museum of Art. The exhibition is organized by Jonathan Brown, Carroll and Milton Petrie Professor of Fine Arts, New York University; Lisa A. Banner, independent scholar; and Susan Grace Galassi, Senior Curator at The Frick Collection. It will be accompanied by a fully illustrated catalogue with entries by the show’s organizers and by Reva Wolf, Professor of Art History, State University at New Paltz, and by Andrew Schulz, Associate Professor of Art History and Department Head at the University of Oregon. The accompanying catalogue is sponsored by the Center for Spain in America. CSA sponsors the publication of this Festschrift for Jonathan Brown, the fruit of the symposium that was held at the Frick Collection and the Institute of Fine Arts in New York in May 2008, at the initiative of a group of close colleagues and former students wishing to celebrate his scholarship and his generosity as a teacher. 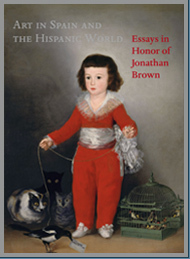 This series of essays by 15 scholars whose work and methods are indebted to his studies provide an eloquent testimony to how widespread Brown’s influence has been on recent generations of historians of the art of the Hispanic world.